Worked in Personnel/HR Management, initially in local government (London Boroughs of Southwark and Lambeth) and then for a range of multi-national companies - sugar refining, plastics, aerospace engineering and food processing, mainly on Merseyside. Moved to Bolton in 1973. 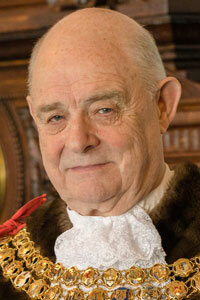 First elected to Bolton Council in 1984, representing Smithills Ward, apart from a two year break (1996-1998). Deputy Leader of the Council and Executive Member for Environmental Services from 2004 to 2006. His wife, Jaleh was Mayoress. 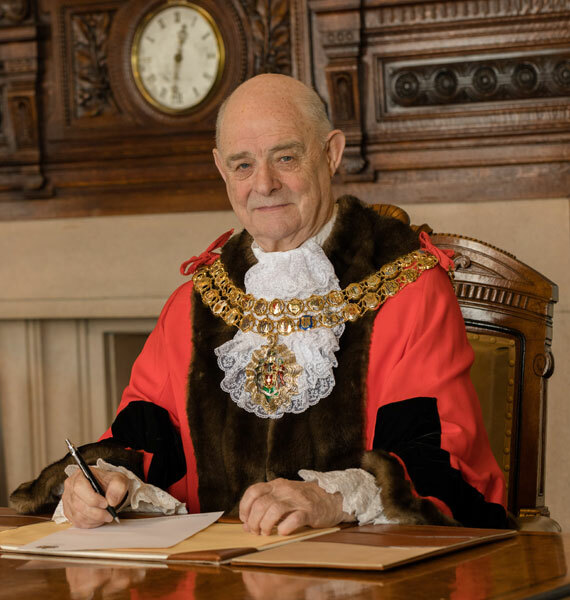 Formal portrait of Roger Hayes as Mayor of Bolton. 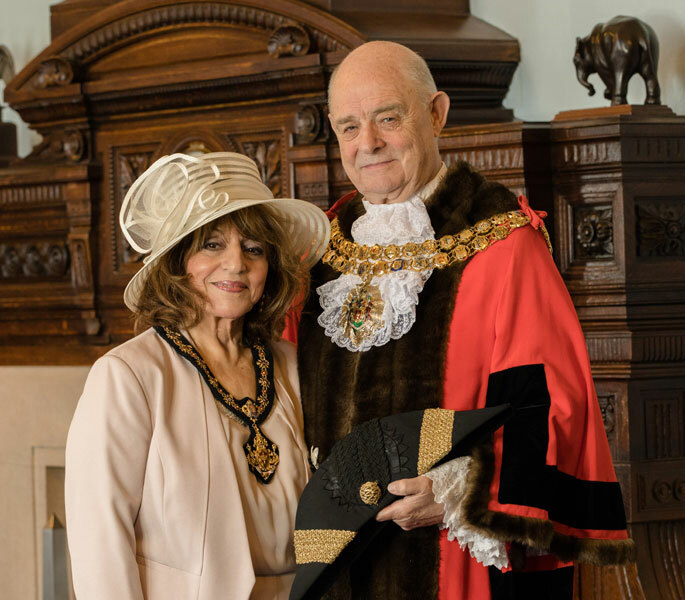 Formal portrait of Roger Hayes and wife Jaleh as Mayor and Mayoress of Bolton.